Have you been going about your daily activities with no real direction in life? Sometimes, we find ourselves setting goals and then aren’t able to follow through on them. The journey gets a little hard and then we give up. And I get that. Pursuing your dreams isn’t easy. But at the end of the day, to be a happy and fulfilled person, we have to do what we want. I’m not talking about binge watching Netflix every weekday or eating cake until we can’t breathe. I’m talking about following your dreams. Setting goals as high as the stars and daring to reach for them, just like Dwayne Johnson did. The founder of Wealthy Gorilla, Dan, has stated before that Dwayne Johnson is one of his role models. Dwayne’s reached an ultimate height of success and really shown how much hard work it takes to become successful. 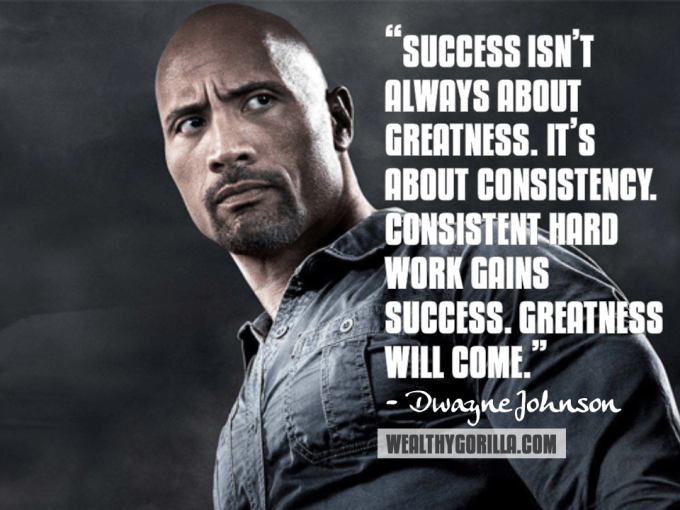 Here are the 5 critical steps you’ll need to follow for living a fulfilled life and truly be able to take charge of your life like The Rock. Do the work. See the results. Go for it. The Rock knew what he wanted. To be something. Did you ever notice how flawlessly he made the pivot or ‘parlay’ from being a professional wrestler — to box office shattering movie star? How do you think he did that? Maybe it fell into his lap? Or maybe he kept his eyes out for opportunities. Maybe he stayed true to who he was and found the perfect moment to take his career a step further. This is the first step you need to take. To keep your eyes open. Look around you. Maybe there’s something you’re missing. Maybe there is a business opportunity everyone around you is missing out on. It could have been right under your nose this entire time and you didn’t even realize it! With a defined set of strategic and clear goals for yourself, an opportunity will definitely present itself. As long as you know what you want to be and take action toward that future version of yourself, things will start to fall into place. An opportunity comes only when you are clearly aligned to the already set objectives. Some of the most important elements in opportunity attractions are credibility and visibility. Once you set these life objectives, then you can easily spot those actions that will help in achieving them. So whenever opportunity comes knocking on your door, be you’re ready to answer. We’re all good at something. If you’re looking to accomplish anything meaningful, then you need to be dedicated and have directions. Directions are possible only if you have the love and passion for working toward that specific goal. Before deciding on what you’re passionate about, there are just two questions that need to be answered. These two simple questions will help you make sure your objectives are directly aligned with your purpose in life. Do I actually enjoy doing this? Is there a way others can benefit positively from this? If your answer to both of these questions is “YES”, then you are on the right path. With the right directions and passion, you can focus on achieving your goals easily. Weather you want to be a writer, entrepreneur, or fitness model. If you have a fire about it, go for it. Role models are essential because they inspire and help us become what we really want to be in life. Not by holding our hand, but by offering us guidance and direction. You can find great role models either in real life or through biographies. Choosing the right role model that fits our personality and the goals we want to achieve makes us work harder and smarter. The major aim of having that inspiration is to inspire and encourage us on the many different ways to improve on ourselves. Choose wisely! Don’t know how to find a role model? Just start looking. Who has already done what you are looking to do? Is there someone that you truly admire and know you could learn from? All you have to do is start a conversation with them (or buy their book). See what they do with their free time. Maybe you could even offer to take them out for a coffee or drink. The best thing to do is to get started with the relationship building process. And keep in mind that you should never ask for a favor or anything from them before you do something kind for them first. 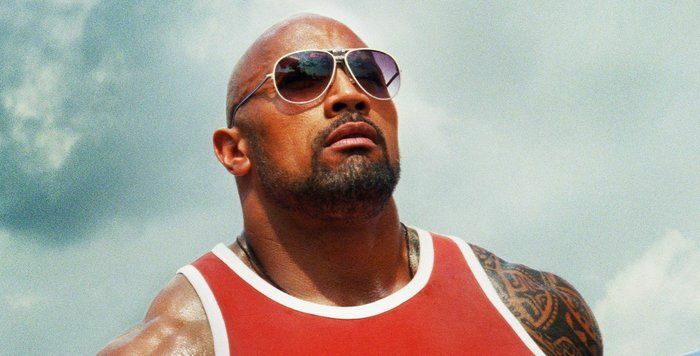 Dwayne Johnson only had a few dollars in his pocket when he had a door shut in his face. He had nothing. But what did he do? He took responsibility. He picked himself up and got to work. If you really want to change for the better, then you have to own up to the things you do. Whether you’ve made mistakes or a had freak accident you had no control over, know that this is your time. But only if you take it. Don’t go around blaming others for your problems rather take responsibility for it and look for ways to make amends. It’s always hard to swallow your pride, but that’s the first step towards building a life of fulfillment and happiness. Be vigilant and check out the things that can develop you mentally, physically and psychologically. Pick up a few books on the topic you’re passionate about. Stay inspired and accountable through success motivation magazines like Wealthy Gorilla. Whatever you need to do, do it. Stay focused and do all that you can to ensure you’re on the right path. Your aim in life will only be achieved by taking consistent actions. So long as you have passion, eye for opportunity, and direction — taking action is easy. Do you think Dwayne Johnson built his physique in a few months? NOOOO. That took years of ridiculous amounts of hard training, strict diets and a lot of sacrifice. Every single day. You need to make out time specifically for achieving your goals. There might even be some activities you need to do away with. Once you have that set of objective like we talked about before, the next thing to do is to take consistent actions targeted towards accomplishing them. With these five massive steps in the right direction, you’ll get closer and closer to your goals every day. Who knows, you might even have an article like this written about you someday. Thank you for sharing thoughts to motivate us to become as solid as Rock.